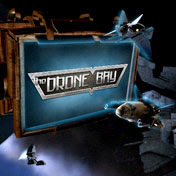 Well, just got word from Brent that the Drone Bay EVE podcast just went live. And what do you know, it did! We're now officially part of the Podcast Collective. Which comes with a lot of responsibilities and expectations. These are a group of very talented people, and to be associated with them means a lot to me. And to my co-host as well. We plan a weekly schedule, and we should be recording our next podcast this Sunday evening. It should normally go live a few days afterwards. Feel free to leave you comments either here or on the podcast page. And while you visit VirginWorlds, please take the time to support Brent, and all of us, in our effort to bring you the best MMORPG news and opionions; the players! A podcast collective? I didn't even know there was one EVE podcast. I need to start keeping up on my EVE news. I'll have to think about your ambulation question though... hadn't really thought that deeply about it, although I like the concept. Thanks for the good words guys. It's greatly appreciated.